KinderBuzz.com is a great marketing tool for local businesses and organizations who target families and want to build their brand. When you advertise with KinderBuzz, you will reach 100% of your demographic market: parents, grandparents and child caregivers - 24 hours a day, 7 days a week. Our website, along with our eNewsletter, will you help you get the “buzz” out about your kid-friendly, family-friendly event, product, program or service. Our banner ads are placed on all main webpages of our site, allowing you flexibility in choice. They are the visual impact that your business is looking for offered in a range of price options. We also offer in-house design work if you require ad design. LEADERBOARD - placed prominently on the top of the page. 728x90 px image with a link. BUTTON AD - placed on the left-hand side of the page. 125x125 px image ad with a link. Gain further exposure by listing your company in our family-friendly business directory. Your business will be listed under the appropriate business category (or categories). Have a limited budget? Every business receives a basic FREE listing or upgrade your listing to include more information. BASIC - A FREE text listing of your business name, address and phone number. Also allows you to be found by search engines. ELITE- Basic listing plus your company logo, website link, and short description of your business. Search engine optimization included. EXCLUSIVE - Elite listing plus a detailed description of your business, list of your products and/or services, graphic images or photos, and a map. We offer a monthly eNewsletter, the InsiderBuzz, which is sent directly to subscriber's inbox where they look forward to receiving information about your business, program and services. Our eNewsletters are distributed to over 2,000 subscribers who want to know what programs are available for their kids and when to register. BUTTON ADS - 125 px. x 125 px. of your logo with a link to your facebook page or website. FEATURED ADS - A brief description about your business or organization's upcoming event, program or service, logo, link to your website or facebook page and contact information. ADVERTORIAL - a dedicated eNewsletter all about your business sent to our subscribers and written by a KinderBuzz team member. The advertorial is a great way to introduce your brand to the community and help you get the word out about your family-friendly, kid-friendly service, product or event. DEDICATED eNewsletters - that run throughout the year: Preschool, Mommy & Baby, Seasonal Program registrations, School's Out, Holiday, Special Events such as Family Day or Back to School, Special Industry such as photography or Birthday party specials. Interested in getting the buzz out about your business? For more information, to receive a 2016 rate card or to book an ad, contact us at advertise@kinderbuzz.com. Advertise in our Programs & Camps Special Editions of the InsiderBuzz eNewsletter! With over 150 organizations offering programs for kids in and around Regina, it's easy to get lost in the crowd. 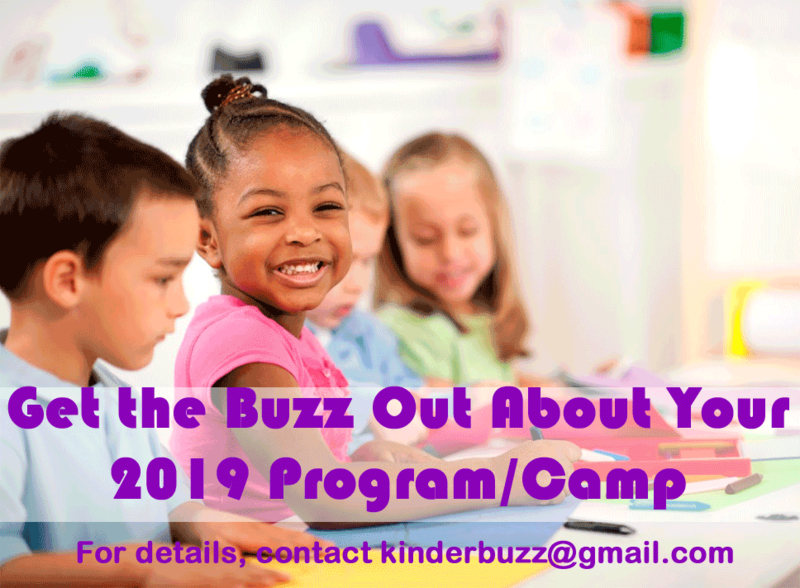 Make your program stand out with a Featured Listing in KinderBuzz's Programs & Camps Special Edition eNewsletters. Program information including name, dates, location, etc. Registration information including dates, deadlines, special instructions, etc. Marketplace Ads are a new advertising options for businesses and organizations who want to get the word out about their family-friendly services or product. Your Business Card Ad will be placed in our new KinderBuzz Marketplace section, which will located right on the main navigation bar. It is a low-cost option that directly links to the URL of your choice (Facebook page, website or blog). Your ad will also be featured in our monthly InsiderBuzz eNewsletter. In order to participate in the Marketplace option, you must offer our KinderBuzz subscribers something unique and exclusive; for example, 10% discount on in-store purchases, a free sample of your product, free trial offer if they mention they saw you on KinderBuzz. More details to come. Want more information on advertising with KinderBuzz or do you need a customized advertising package? Contact us at advertise at kinderbuzz dot com.